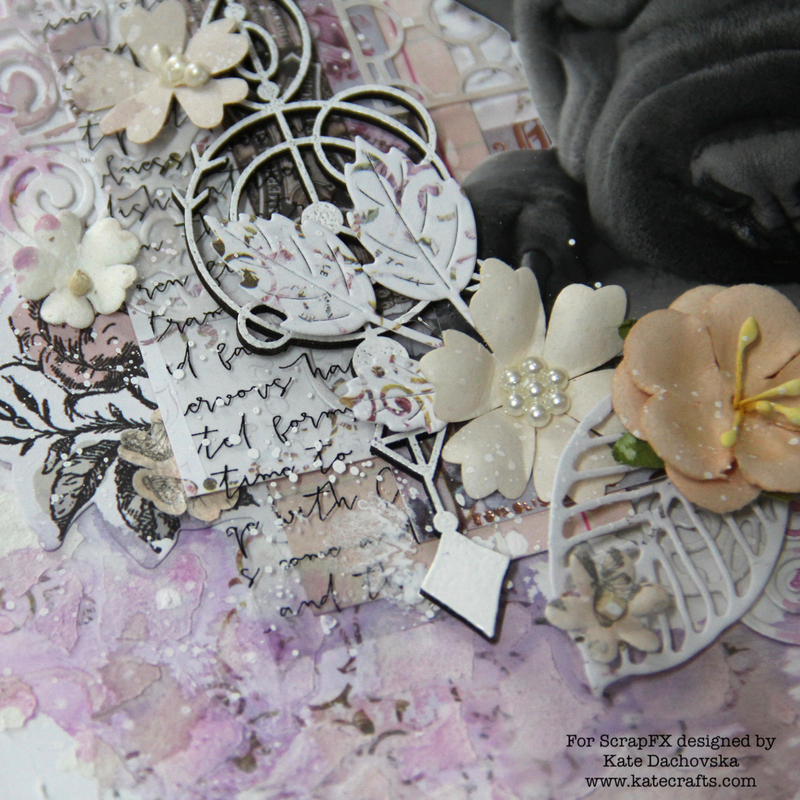 I would like to share with you my romantic layout. 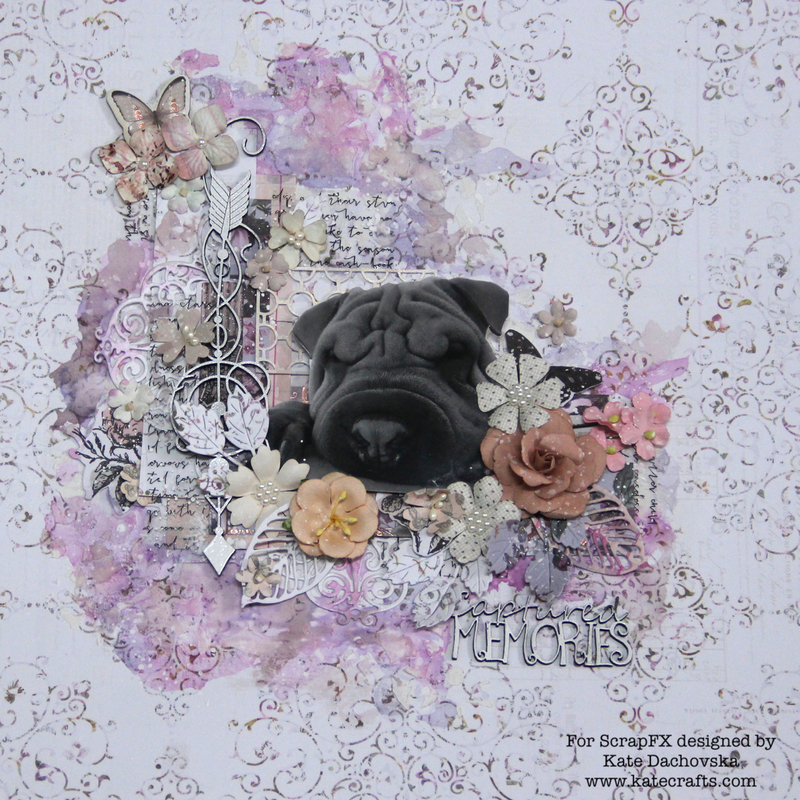 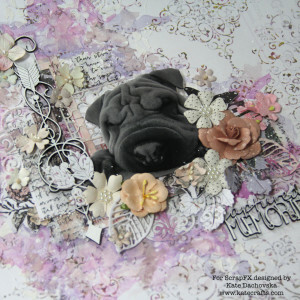 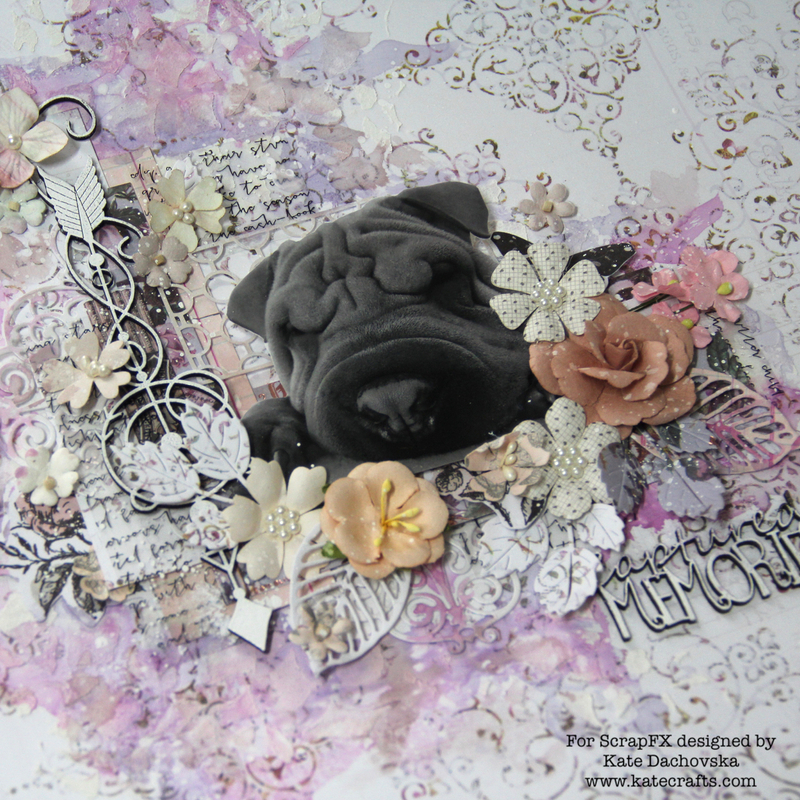 There is our sharpei Dobby, he is really great object to take photos of and great to make projects with. I used newest Prima Marketing papers and flowers. 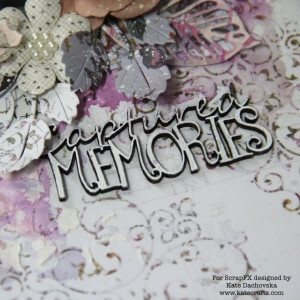 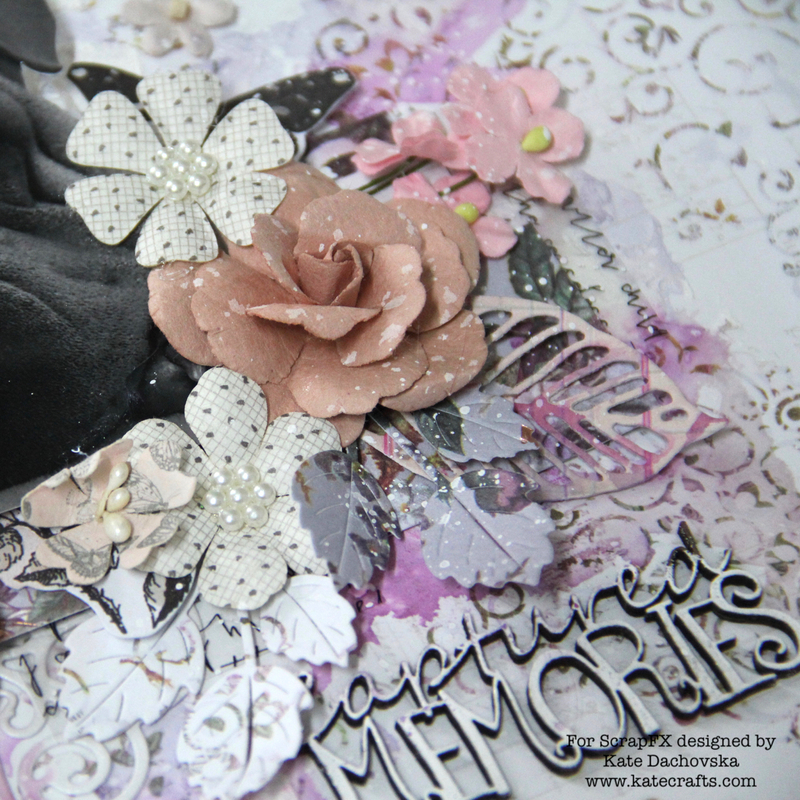 There is awesome Arrow C Graphic chipboard at background and Captured Memories Mini sentiment – I heat embossed them with white embossing powder. Instead of background stamping I used my favourite Script transparency. 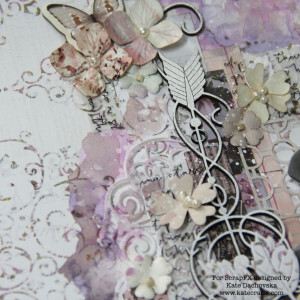 All colours at background are made with Color Philosophy dye inks which I diluted with water.